This summer Ibiza enters an exciting new chapter with the launch of Hï Ibiza, the brand new club by Ushuaïa Entertainment. 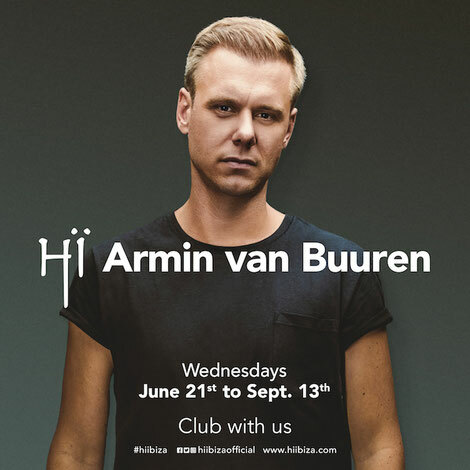 As the debut season for the club draws ever closer, it recently announcesd that Armin van Buuren will join its growing roster of residents with his new Wednesday night party U R, running for 13 weeks this summer, from 21 June to 13 September. For more than two decades, Armin van Buuren has been a global ambassador for trance, and is possibly still recognised as one of the biggest DJs in the world, placing five times in the number one position of the DJ Mag Top 100 poll, in addition to being voted the best trance DJ in the world at the International Dance Music Awards and the DJ Awards. The Armada label head apparently continues to sell out stadiums and arenas around the globe with his Armin Only and A State of Trance tours as well as playing countless top festivals and nightclubs every year. The GRAMMY-nominated artist is also no stranger to the White Isle. He’s held numerous residencies there over the past 12 years, including for his A State Of Trance party at Ushuaïa Ibiza in 2014 and 2015. Again, Armin will be joined by an array of big name guest DJs on this new journey.